Philanthropy is in the middle of a sea change, from the type of individuals entering and leading the sector and the amount of money at their disposal, to a growing emphasis on data, impact, and collaboration. What does this mean for the future of the social sector? 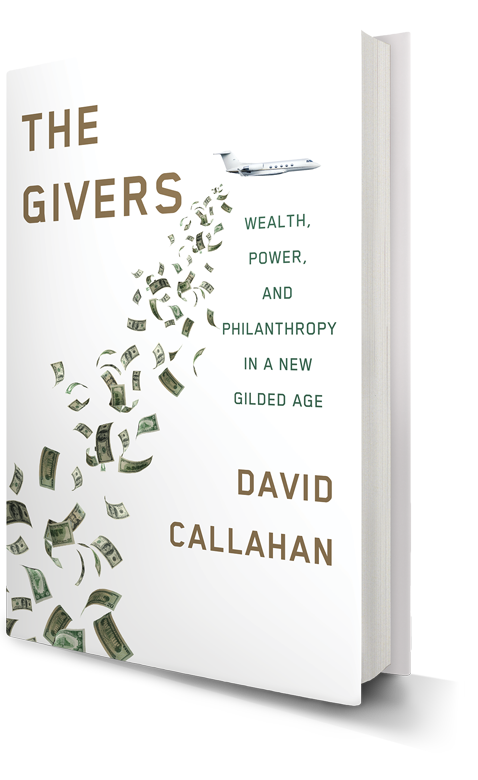 Find out in this exclusive live discussion with David Callahan, Founder & Editor of Inside Philanthropy, as we discuss his new book, The Givers: Wealth, Power, and Philanthropy in a New Gilded Age. Join Fluxx as we explore the role philanthropy plays in society today, what this evolving relationship means for our future, and the implications for who, what, and where foundations fund. Fill out the form to gain access to the recording, filmed live in Los Angeles.